How does it feel to be dining in the compound of someone else’s house? If you think that’s awkward, well …. think again. 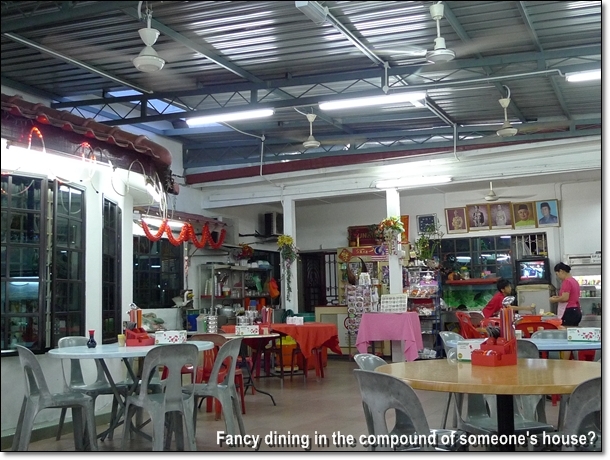 There’s this restaurant (or as close to a restaurant as this premise can be) in Taman Chi Liung of Klang, which was opened by a former cook from a restaurant (pardon me, but sources unknown and not verified). 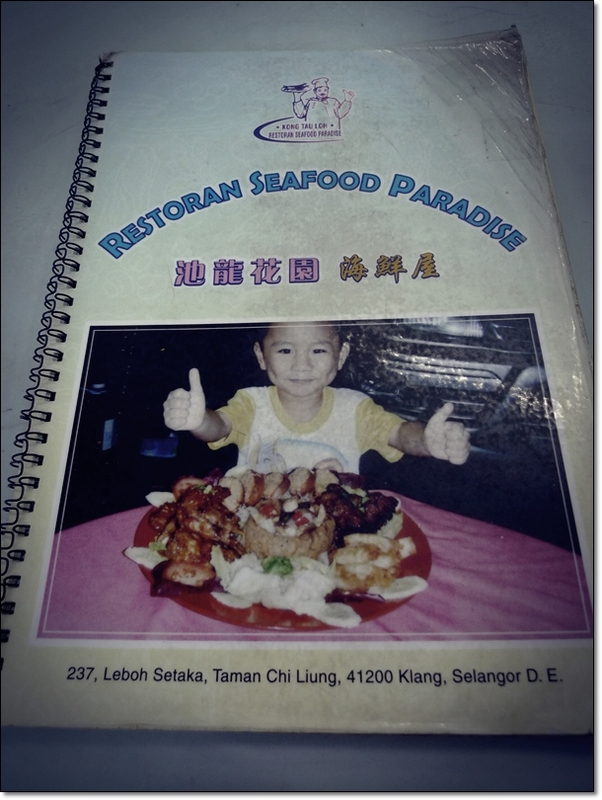 The name of the restaurant is Seafood Paradise, and I tell you, the array of dishes listed and pictured in their menu is not shabby at all. An impressive range of seafood, meats, vegetables, rice and noodle dishes numbering in the realm of 80-100 items, if my memory serves me right. Which on most days, it does not. Oh well ……. Don’t let the miserable patronage deters you, for it was rather early on that evening we went for dinner ….. A second visit revealed the sheer number of customers Seafood Paradise usually has. Crowded to the max. If you’re thinking, nah …. just another run-of-the-mill ‘Chu Char’ (Chinese style of serving dishes and rice) restaurant, you’re in for a surprise. The innovative dishes conjured up by the proprietor himself (fondly known as ‘Kong Tau Loh’ or Botak/Bald Guy) sounded very inviting, and you just have to browse the menu for vividly-coloured shots of the dishes, paired with descriptions in both Chinese and English, for a general idea on what they serve. From crabs to prawns and fish, as well as chicken and pork, the manner of serving them is pratically endless, what’s more with the seldom available Crispy Yam Ring (‘Futt Poot’) with a variety of fillings, such as Marmite pork ribs, chicken, etc. Guaranteed you’ll find something for everyone – Sweet & Sour/Butter Cream dishehs for the younger ones, Spicy Assam and Curries for the adults, and softer Tofu (beancurd) and greens for the elderly. 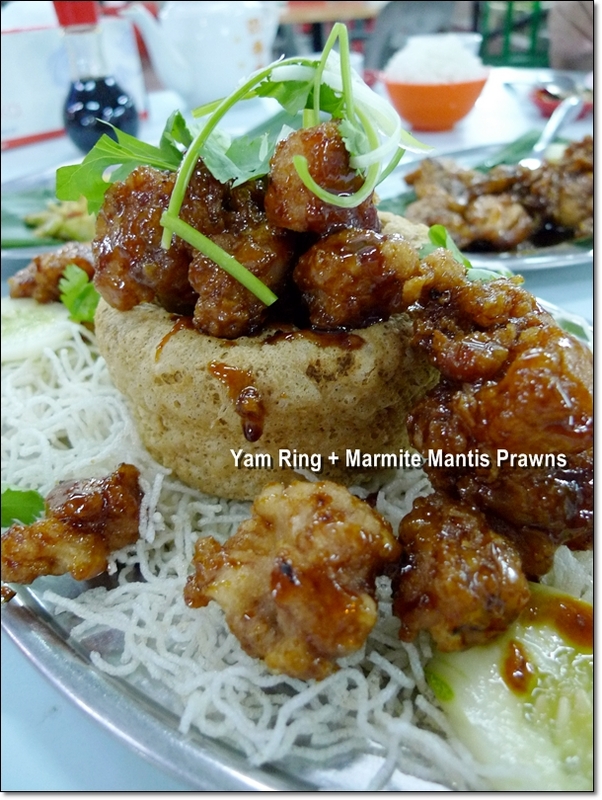 The crispy yam ring served atop a bed of crunchy deep-fried vermicelli, with the hollowed centre filled with glistening pieces of sweet and savoury boneless pork ribs smothered in Marmite sauce. Sounds fantastic eh? But this dish was not as impressive as I had imagined the ensemble to be. Not bad, but nothing that screamed for a second serving. 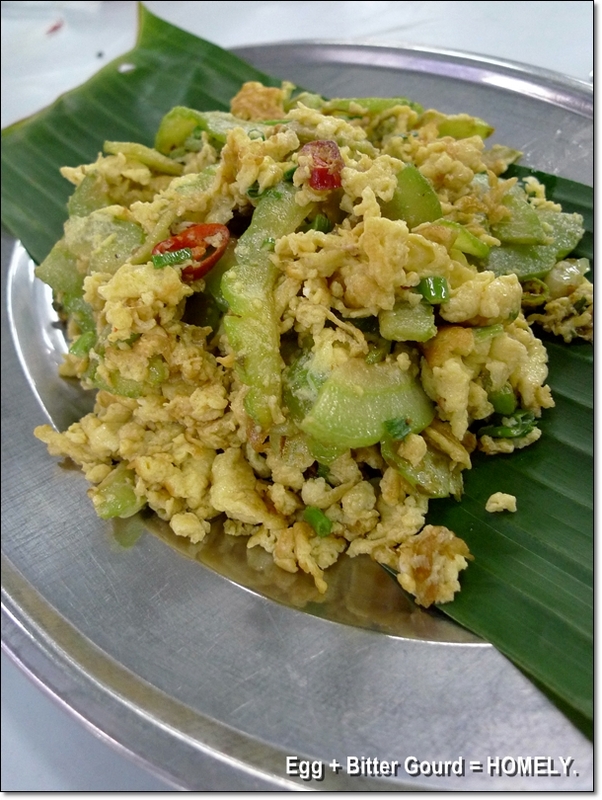 But the egg omelette stir-fried with slices of bitter gourd and chopped scallions was a most memorable dish, for its simplicity and taste excelled in areas that mattered most. Nothing too fancy, yet complemented the meal extremely well. I can imagine having this dish, and a small block of spicy ‘Fu Yee’ (fermented beancurd) for a complete meal with porridge. Yeah the simple, little wonders. 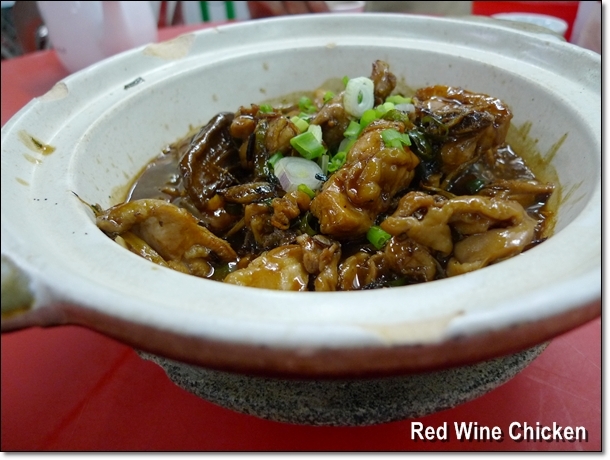 The claypot of red wine chicken reminded me of Taiwanese style dish of Three Cups Chicken, with a thick, dark and strongly-flavoured gravy with a faint hint of wine. The portion was a little too much to handle for the three of us, and we ended up picking the fleshier parts only at the end of the meal. 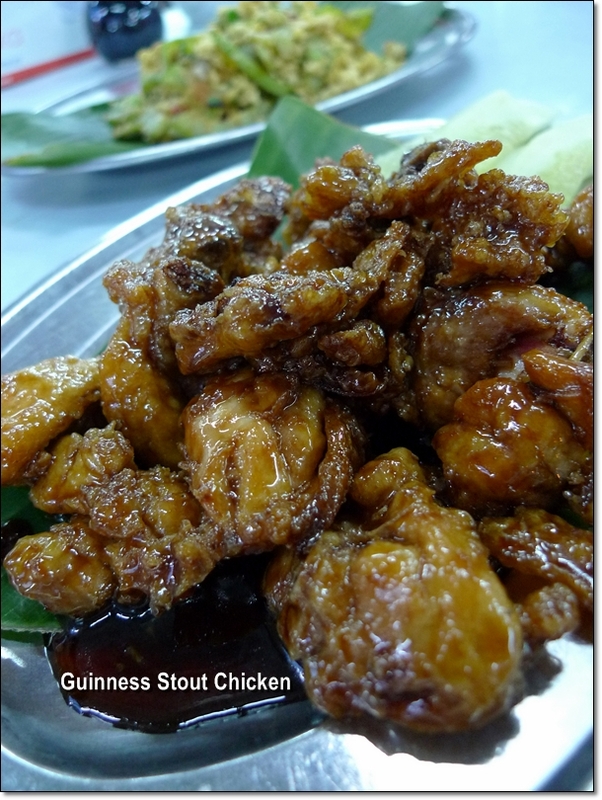 If you love soy sauce braised chicken, or tender chicken cooked in the most traditional manner, then this dish is for you. Craving for a little heat, we initially wanted to order Curry Fish, but felt dejected when informed of its unavailability. Not sure the gravy was not ready, curry powder running out, or whatever excuses, but the Assam Fish (RM17/USD4.80) came in a most consoling manner. 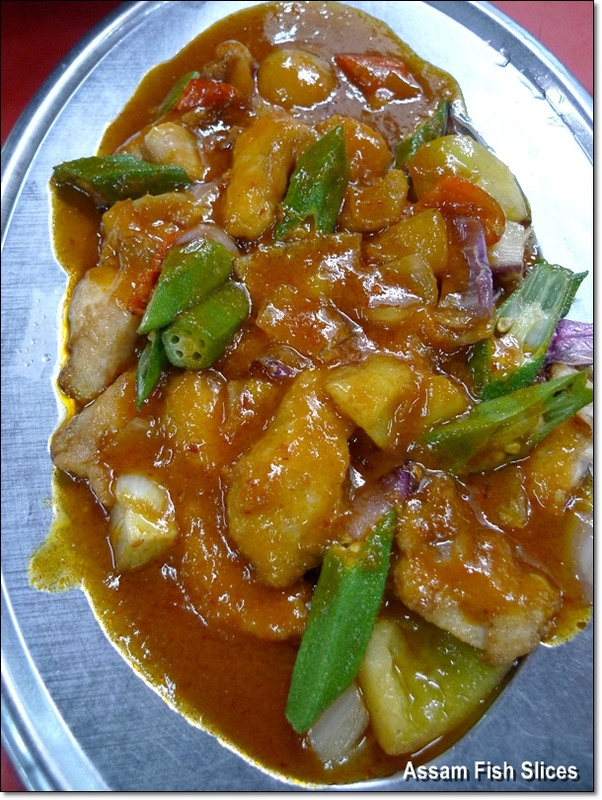 Thick chunks of grouper slices cooked in a tangy and slightly spicy sauce flavoured with tamarind juice, as well as with assorted vegetables such as ladies finger (okra), tomatoes and onions. Minor gripe? The earthy, muddy taste was evident, but slowly dissipated after a few bites. What? ANOTHER chicken dish, cooked in alcohol-laden gravy?! Not too worry, it’s rather mild, much like the usual Honey Chicken, with a light, bitter-ish aftertaste. A little salty though, and definitely to go with white rice, else you might feel overwhelmed by the sticky, robust sauce. Address as stated above. GOOGLE MAP AVAILABLE HERE. P/S : The dishes were ordered on TWO separate visits. Parking is not a problem, but you’ll have to park somewhat haphazardly by the roadside, for this is a residential area after all. Opens for dinner only. Yay! I am the 1st one here? ohhh.. Klang..now a bit notorious for the jam. wht the heck is happening there?? They still building the flyover after … like …. 2-3 years now? Wonder how much more efficient can they get. Its good now that you have swooshed into Klang hai sian/chu char Paradise ! Just in case you haven’t try this one yet , head on to Teluk Gong, which at one time dethroned all of the Klangie delights. Teluk Gong’s Coconut Flower I’ve been to, once. Nothing stellar, but still nothing beats digging into crabs and prawns, and wash them all down with toddy! yam ring with deep fried ribs-something new. Erm, Boston does FANTASTIC fried noodles. Really good. But the wait. .. horrendous sometimes. Or should I say, often. Erm, this one more dishes loh, and definitely more comfortable. But I still like Boston’s clams, mantis prawns and their noodles with LARDS. .-= samlee860407´s last blog ..Lot 10 Hutong @ Bukit Bintang Kuala Lumpur =-. I was a regular to this place and I always like to order Guinness Pai Kut and Hay Kor ( with dried chili). The Wah Tan Hor with Wine added is also mouth watering. 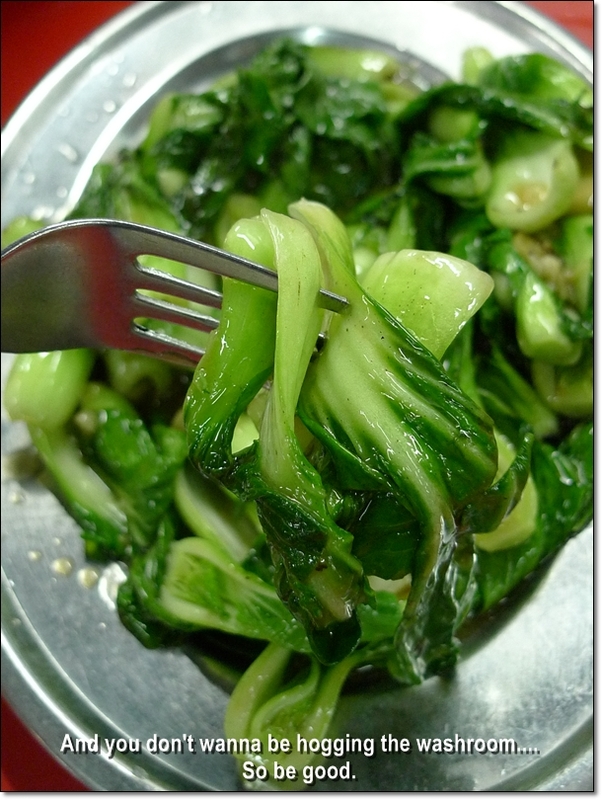 Only problem, some time the dishes are not good / consistent unless you request it is done by Kong Tau Loh himself. Oh… have to request one ah? I realized that the place can get REALLY crowded come peak hours, such as on weekends and public holidays. Yah lor..how can one compare the culinary and secret skills of the Sifu and his Machai ? Sure big difference wan. Public Holiday & Weekends are packed due to their reasonable prices. If I am not mistaken, they closed on Thursdays. If you want to book the Sifu to specially prepare the food, pssst….then call his wife…of cos..only makan makan and nothing else..heh..heh. 016 3172233.
the Yam Ring with extra topping looks good & do you have any GPS reference. Tq.